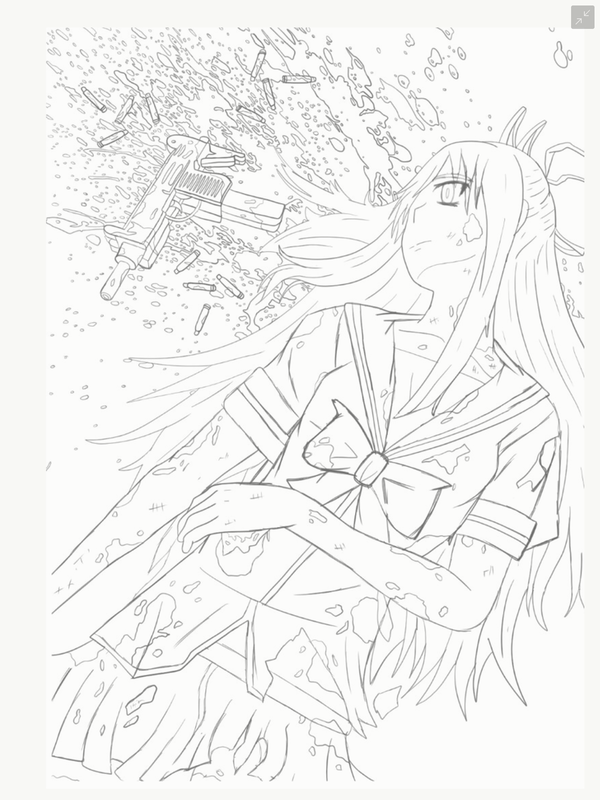 Corpse Princess… wait Happy Halloween 2018 here’s a spooky dead girl with blood everywhere… nah just kidding she’s a zombie she’s ok, well except being a walking corpse, unable to die and fuelled by an un-ending desire for revenge… so yeah ok is how I would characterise her. 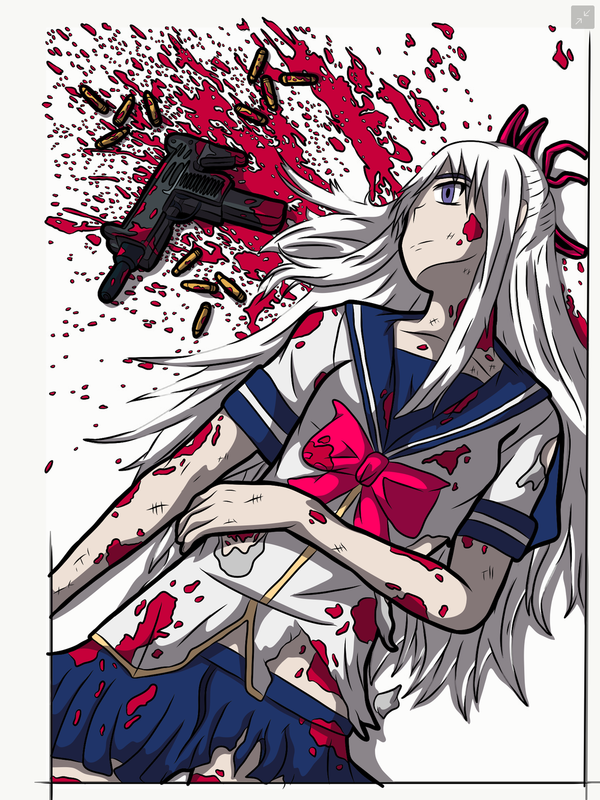 Nah but seriously Corpse Princes is a series about a group of people that hunt down and kill demons by forming contracts with zombies to fight the other zombies although the zombies just use normal weapons (like the main heroine uses an Uzi) so the reasoning as to why they need a corps to do the fighting is a little convoluted something about having to kill a certain number of zombies to get into heaven, so it’s kind of like highlander but instead of becoming mortal to live a happy life you get to die which is a little bleak when you think about it, but the series is a Japanese horror which means instead of there is a kind of happy ending that offers character growth or redemption everything is just slightly less horrible then the climax of the story, which actually makes things more interesting unlike western horror stories that pretty much just want to startle you until the ending that leaves an opening for a possible sequel if the movie makes enough money. So really in short check out the series is actually really interesting. 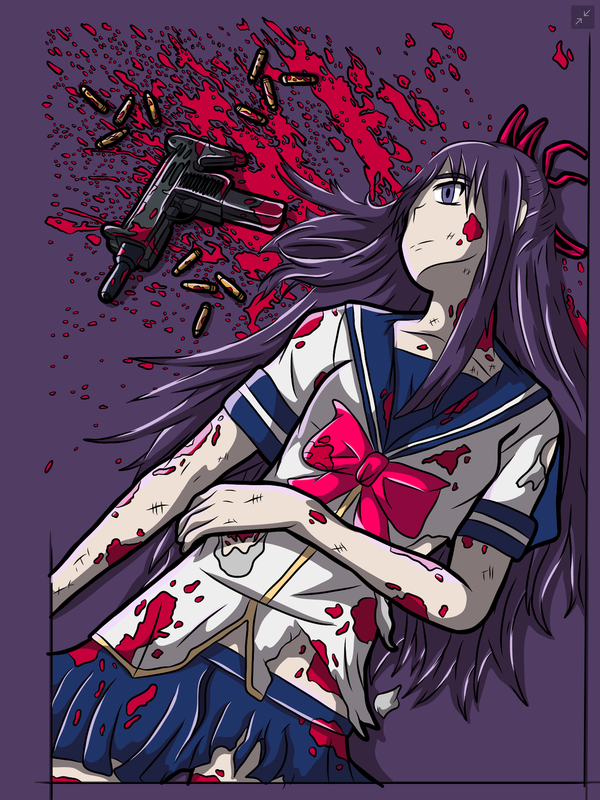 Here is a pop art image of Battle damage Makina, surrounded by her own blood. 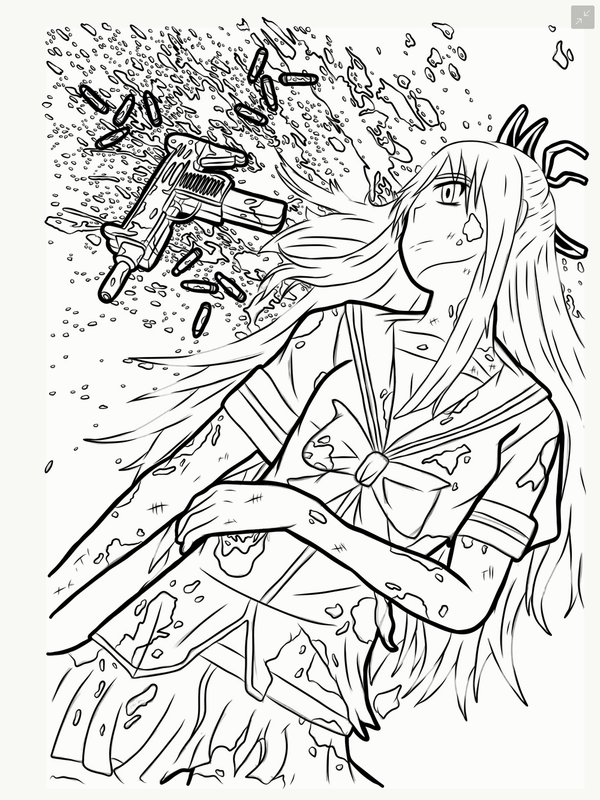 Why not share this with your friends that like horror themed anime series with zombie high school girls? I know that probably a niche audience but do it anyway or just do it because its Halloween whichever is more likely.